This article is about Rice. You may be looking for Rice recipes. Rice is consumed both with its bran coating and without. White rice, of which there are many types, is the generic name for bran-free rice. There are three types of rice with intact bran (whole-grain rice): wild rice, brown rice and the far less popular black rice. While biologist don't consider wild rice to be a true rice, it's a member of the same taxonomic family: poaceae; but a different genus: zizania. Brown rice has a nutty taste and chewy texture. It's healthier than white rice because of its higher fiber content. White rice, however, has a much longer shelf life, cooks faster, and produces fluffier grains. White rice also has a high calorie content and thus is used daily in cultures with less availability to calorie rich foods. Wild rice has a hard, almost woody texture along with a nutty taste and has similar health benefits as brown rice. Also, wild rice has the lowest calorie content of all rices. Raw rice may be ground into flour for many uses, including making many kinds of beverages such as amazake, horchata, rice milk, and sake. Though sake is not made from rice flour but rather the grain itself which is washed and steam cooked with yeast and Koji(rice cultivated with a mold known technically as aspergillus oryzae). 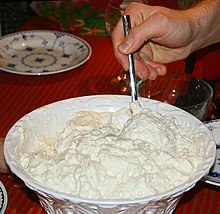 Rice flour does not contain gluten and is suitable for people on a gluten-free diet. Rice may also be made into various types of noodles. 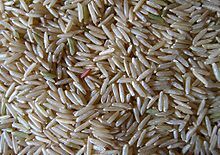 Raw, wild or brown rice may also be consumed by raw-foodist or fruitarians if soaked and sprouted (usually one week to 30 days). Through the look of a foodway, rice has been a staple food for many cultures around the globe. Japan, West Africa, and anywhere this grain grows you will see foodways develop around it. Foodways are structured beliefs and behaviors surrounding the production, distribution, and consumption of food. In Japan “rice is the main carbohydrate food in Japan, consumed with every meal. For the poor, it is the chief source of calories” (Inside Japan: Surprising Facts About Japanese Foodways). This high of a consumption rate puts rice up there with fish in Japanese culture as a basis for food intake, demand, and production. The impact that foodways have on a culture are directly linked to economics in that culture. The demand for rice, for instance, in Japanese culture stimulates jobs to compensate the production needed to sustain a proper outtake of rice. Furthermore you can sell rice on a global scale to increase revenue for the economic system.